Katunayake Police have apprehended two persons on the Negombo-Katunayake road over the charges of transporting heroin. 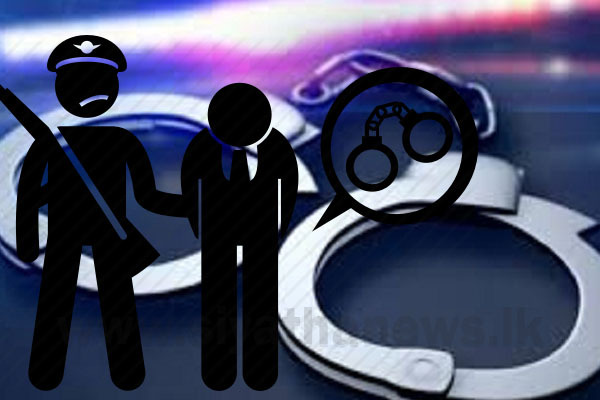 The suspects have been arrested during a raid when they had inspected a vehicle traveling towards Katunayake on the Negombo-Katunayake road. Accordingly, police officers have seized 100 g of heroin on the suspects, stated the office of the Police Media Spokesperson. The arrestees have been identified to be residents of Negombo and Minuwangoda areas under the aliases ‘Lonsina’ and ‘Karadaraya’. They will be produced before the Negombo Magistrate’s Court today (14) and the Katunayake police are conducting further investigations on the matter.